The North American and South American continents are connected by the Central American isthmus consisting of countries stretching from Guatemala on the northern end to Columbia in the south but it was not always so. This relatively narrow strip of land is thought to be the result of volcanic activity as the western edge of the Caribbean tectonic plate pushes down on the Cocos plate beneath the Pacific Ocean. Volcanic activity below the waves slowly built land masses that emerged along the fault as islands perhaps as recently as three million years ago. The continuing eruptions added landmass that connected the islands into an isthmus. Animal species that had not encountered one another now had a land bridge over which they could travel. Add a varying topography and a range of climate conditions and you have a recipe for extraordinary biodiversity. Costa Rica, located south of Nicaragua, north of Panama and just ten degrees of latitude north of the equator is ground zero for this incredible display of geological, biological and botanical diversity. The lava show is not over yet. Costa Rica consists of a mere .1 percent of the earth's surface yet it hosts more than 110 volcanoes, five of which are still described as active. On his fourth and final voyage, Columbus sailed off of the Caribbean coast of the isthmus in 1502. Encountering natives wearing some decorative items, he called the region Costa Rica or "Rich Coast" and evidently concluded that the area might yield more than a little gold. Additional European exploration was quickly followed by exploitation which, along with disease, decimated native populations. By the early 1800's, the region had become the Central American Federation and in 1838 the independent nation of Costa Rica was born. Today it is one of the most stable and economically successful Latin American countries. In a 1956 Mexican film called Pura Vida directed by Gilberto Martínez Solares, a comic actor named Antonio Espino uses the expression "pura vida" ("pure life") to express his unbounded optimism, despite his inability to do anything right. The use of the phrase caught on in Costa Rica and by the 1970's it was used throughout the nation and has practically become the country's catchphrase. It is used in a manner similar to that of "aloha" in Hawaii. In March of last year we headed down there to experience pura vida for ourselves. On this trip, I did something relatively new for me, I elected to drive for a part of our trip to a foreign land. I was emboldened by the fact that I had purchased a computer chip for my handheld GPS (a Garmin e-Trex Vista CX) unit when we took our trip to Argentina and Chile last year. The chip holds maps for most of South America and a quick check confirmed that it also held Costa Rica maps and that in addition to being compatible with the e-Trex, it was also compatible with the Garmin nuvi 2455LMT GPS that we use in our cars. Additionally, the guidebooks I read indicated that driving in Costa Rica was no big deal. The rate National quoted me wasn't too bad. After landing in the capital of San José and clearing customs, we located the National counter and were promptly escorted a short distance to a waiting van for the quick ride to the office located off of airport property. It took the counter attendant a moment or two to locate my reservation but once he did, all went smoothly. We drove to highway 1 which is the Pan American Highway. The original Pan American stretched from Laredo, Texas to Buenos Aires, Argentina, except for the break at the Darién Gap. This was a busy urban highway with its share of quirks. In places, large concrete-lined drainage ditches lined the side of the road so pulling over was not an option. We went through one set of tollbooths where traffic officers were simply waiving everyone through. I later learned from a cab driver that when traffic is heavy, tollbooths are opened up to speed traffic flow and when traffic subsides, the gates come back down and tolls are once again charged. We exited the highway and ascended into the hills north of San José and through the town of Alajuela. Thankfully, signs began appearing to guide us to our hotel because I had discovered one of the unique aspects of driving in Costa Rica: While a few streets do carry names, none of them actually feature signs telling you the name and address numbers are not used at all. In making the reservation for our second hotel of the trip I had noticed that even on Marriott's website, the address of the Costa Rica Marriott Hotel San José is "700 metres west from the Bridgestone/Firestone". No street. No address. Based on location estimates and on searches I could do on the GPS for specific hotels, I had saved a few locations into the memory of the GPS but other than that we were dependent on our own eyes and a few maps with the GPS offering some help. To get out of the hustle and bustle of San José we had booked a room at Xandari Resort and Spa just north of the town of Alajuela which is itself just north of San José and a few hundred feet higher in elevation. After some initial fiddling with the GPS, it lead us just about to the doors of the hotel itself. Xandari consists of more than 20 small single story buildings scattered over 40 acres of hillside. The hotel touts its eco-friendly practices. We were greeted at the entrance by Andrea who quickly got us settled into room #3 which was in a secluded part of the grounds and featured a large patio with a westward view. The buildings are of cast concrete which are painted in various hues of blue, green and coral. Ours included a large window wall. The upper course of windows consisted of glass louvers with screens to you could let in the breeze. The rooms are not air conditioned but after a cold winter in the Chicago area we were ready for some tropical warmth. After getting settled we explored the orchard and plantings on the extensive grounds. Pam had already returned to the room and I was just returning to the room myself. As I knocked on the door since she had the key, I heard her exclaim, "That's the biggest spider I have ever seen!" Having been married just over 20 years, I can say that I have heard her make that comment a few times but when I got in the room and looked at the foot of the small step down into the room I saw... ... the biggest spider I have ever seen! It was a tarantula and easily measured more than four inches in length. I give Pam lots of credit for not making more of a ruckus and for being willing to walk within a few feet of this critter in order to let me into the room. I think Pam thought I was heading for the phone to call the front desk but I promptly got my camera and recorded the moment for history. We did call the front desk and a guy came with a couple of small banana leaves, picked up the spider and took it back outside. Maybe it came in when the maid cleaned the room or maybe there was a crack somewhere it got through. We searched the room pretty thoroughly and did not find any others but we knew we were not going to sleep too deeply that night. Dinner in the hotel dining room was pretty good but the open air view of Alajuela and San José in the valley below was really great. The main purpose for the trip was to take another Backroads biking journey but we wanted to experience more than one area of Costa Rica so we had arranged for a few nights at a hotel on the Pacific coast. After breakfast at Xandari, we checked out and jumped in the car for our drive of about 100 miles to the hotel just outside of Quepos. Of course, there was no "address" for the hotel but I had an approximate location and figured that signs or some friendly Costa Ricans would show us the way. Driving in Costa Rica was as easy as I had imagined. We took our time and enjoyed the journey of about three hours. We passed through Quepos and, after a few wrong turns, did indeed find a sign for the hotel and arrived in fine shape. Hotel Makanda By The Sea is a wonderful property and we knew we would enjoy our stay there from the moment we passed through the entrance gate. The hotel is perched on steep hillside about 300 feet above the Pacific. The weather was hot and humid but the sound of the Pacific waves pounding on the shore below and the shady jungle foliage let us know we were in another world. We had reserved unit 11 and were quickly shown to our room which is on the edge of the property and feels wonderfully secluded. A terrace stretching the full length of the room gave us a jaw-dropping view through the flower-draped jungle foliage to the sea. The surrounding foliage echoed with strange bird calls and insect noises. Hummingbirds flitted from flower-to-flower. We explored the hotel property and soon came upon their pool and discovered a view that rivaled the one from our room. The infinity-edge pool features a westward orientation and we knew the views of the sunset from there would be great. Beside the pool is Makanda's small outdoor restaurant. 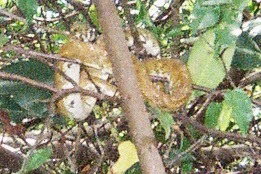 We spent the late afternoon by the pool and spotted toucans in the trees as well as a sloth. The air was alive with strange sounds and just before sunset we heard the strangest sound yet. 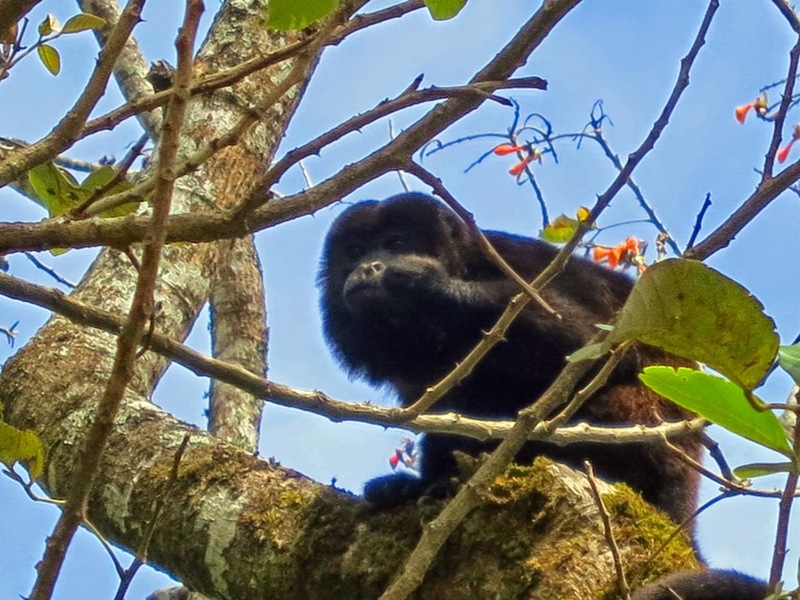 The pool attendant said they were howler monkeys somewhere up in the canopy and they had plenty of company. We spotted toucans and sloths. The sunset was absolutely incredible and ranks right up there with the all-time great views! The sunsets from Makanda's infinity-edge pool were incredible! What happened next almost ruined our trip. I wanted a lower angle shot of the sunset and slid off of the edge of the pool, thinking that I would be in maybe four feet of water. As I raised the camera to take a shot, I realized that I was going deeper and deeper. Hoping that I was in perhaps six feet of water, I raised the camera over my head and was horrified to see it dip below the water as I found my feet touching the bottom of the pool in eight feet of water. Clearly the camera was ruined. I dabbed it dry and removed the battery and the chip on which the pictures were stored. We needed a new camera pronto. The desk clerk gave me the name of an electronics store in Quepos but they did not have cameras so we knew we had to get one on our return to San José. In the meanwhile, we picked up a disposable film camera for use over the next two days. 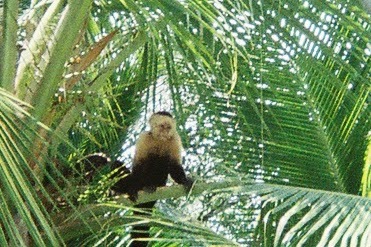 On our second day near Quepos, we arranged for a private tour of Manuel Antonio National Park. Our guide George brought a spotting scope that brought wildlife in close. We hiked for a few miles in the park and at one point found ourselves again accompanied by Capuchins as they foraged in the forest. We spent part of that afternoon hiking down to the sea from Makanda. The steep 300 foot descent to the beach brought on a sweat and we knew that the ascent would be even harder but were motivated by thoughts of spending more pool time. The beach below Makanda is of dark gray sand. Few guests venture down there due to the long, steep walk. We got back to the hotel in plenty of time to watch another spectacular sunset from the pool. On our final day at Makanda we took a boat tour along the Paquita River. Before we knew it, it was time to get back to San José to begin the next phase of the trip. It was tough to leave Makanda. Some places you leave thinking that you may return. I would be happy to return but its a big ol' world out there and I did not think it likely that we would return to this part of Costa Rica and I was sorry to think that I very well might have spent my last night at Hotel Makanda By The Sea. Our return route to San José was on highway 27 which was evidently constructed recently since it was not on the GPS. Still, we felt confident that the signs were directing us back to San José and pretty soon we were back in urban traffic. I was following a public transportation bus on the Pan American Highway when it slowed down and pulled partway off of the highway. I was shocked to realize that this was a bus stop (on the highway!). Tollbooths that were open sporadically, bus stops on the highway, what's next? Our Backroads trip was set to depart the following morning from the Marriott so we had booked a night there. My advance work on estimating where the hotel might be and marking the location in the GPS paid off and we found it with no problem. National had a rental car counter at the hotel so I dropped the car there. Had I done more homework, I would have realized that we were probably less than a quarter mile from the main National office so I could have avoided the drop fee. Live and learn. The concierge at the Marriott confirmed that there was indeed a good electronics store in the Mega Plaza in San José. He introduced me to taxi driver Pedro and we were off to replace the camera I had ruined. As we pulled up to the mall, I told Pedro I would be back in a few minutes. "Oh no, senior," he said, "I will go with you." We looked over the camera selection and agreed on one that would fit the bill. I reached for my wallet and Pedro gave me an imperceptible shake of the head and a warning glance. He called the manager over and the negotiating began in rapid Spanish. About midway through the conversation he turned to me and said, "You have cash, right?" I did and the negotiations continued. Before I knew it, I was walking out of there with a Panasonic point and shoot digital camera at a very low price. The manager even threw in a free camera case. Needless to say, the money I saved went for a handsome tip to Pedro. As we arrive at a hotel the night before a Backroads trip begins, we play a game with ourselves and try to guess which guests we see in the hotel will be on our tour. Often Backroads guests are easy to spot (biking or hiking attire). At 8:30 the next morning we met Ally and Zach our guides for the trip as well as Scooby and Winnie, Costa Ricans who would be driving the support vans. We met the other 12 trip participants and before we knew it we were in the vans and on the road. A one hour ride in the van took us north of San José to the Espiritu Santo Coffee Estate. We receive an informative private tour of the estate and their coffee processing facilities and, of course, all the coffee we could drink. A short shuttle ride later brought us to Candelaria, the starting point for our first ride of the trip. Backroads guides work together to make the arrangements necessary for an efficient trip as seamless as possible. Zach had left Espiritu early and had set up all of our bikes and the snack table. When we arrived everything was ready. I attached my GPS to the handlebars of the bike I was to use and stocked up on snacks and water. As they do at the beginning of each trip, leaders then presented a short program describing the bikes and riding safety. Each day riders are presented with detailed descriptions of the ride routes for the day, including turn-by-turn directions. Riders can pedal for as long as they like and if they don't elect to do the full mileage for that day, they can quit at one of the pre-set break points or anywhere along the route. Because this trip featured two van drivers, both Zach and Ally would be biking with us for the whole day. Pam and I had elected to do the full route for the day and, according to the directions, that meant 21.5 miles (34.6 kilometers) and total climbing of 2,490 feet (760 meters). The hills are definitely the most challenging aspect of these rides. The directions feature detailed route information along with the distance (in kilometers) between points. The most dreaded phrase on the directions as far as I am concerned is "Steep uphill begins". Whenever I see that, my eyes dart to the left of the phrase to see just how long the hill is. Riders quickly spread out as the route unwinds and it was customary to find ones self alone on a beautiful country road. Understand that this is no Alpe d'Huez, the Alpine section of the Tour de France east of Grenoble where riders ascend 21 switchbacks in a little under nine miles, climbing 3,687 feet. On this coming July 18 the riders in the centennial Tour will ascend this summit twice in one day. Being a couple of flatlanders from Illinois, the most significant hill we face when riding around home is a highway overpass that ascends a total of perhaps 30 feet. After 15.5 kilometers, we stopped at Restaurant y Bar Mi Choza where we found the rest of the group gathering for lunch. Small lunch spots like this in Costa Rica are known as "sodas". The food is always good on Backroads trips and on this trip we found that the lunches were every bit as good as the dinners. All meals were included in the price of this trip so when we were all done we stepped back out to our bikes and continued on our way. Our afternoon route took us up into the Villa Blanca Cloud Forest. By the time mid afternoon rolled around, we found ourselves enshrouded in the clouds for the last few miles. We arrived at the Hotel Villa Blanca where Ally and Zach welcomed us. It was as easy as taking the small pack that was strapped to the rear of our bikes off, turning the bikes over to Ally and Zach and heading to our private cabin on the hotel grounds. We had time for a sauna before showering and heading to the lobby for cocktails before dinner. On a trip like this, hours spent biking together as well as cocktail gatherings and meals give you plenty of time to meet others on the trip. Dinner was delicious, particularly the roasted tomato and basil soup that started the meal. On the morning of day two we met the local naturalist and he took us on a 2-mile walk through the cloud forest. Afterward we had a shuttle ride to the starting point for our ride. The previous day's ride had taken a lot out of us and we were not in shape to make the full 55+ mile ride that included ascending 4,704 feet and a ride along Costa Rica's continental divide. We elected a shorter route that featured a net descent. The route featured more traffic than we are accustomed to dealing with on a Backroads trip but it was some of the steep descents that really tested us. A typical pattern was some flat riding followed by a steep ascent and then a descent into a valley where you crossed a river via a bridge and then ascended up the other side. In the town of Bajos del Toro we had lunch at El Silencio and it was another winner. There were a few raindrops as we started our afternoon ride but the sun soon reappeared. Our hotel for the evening was Tilajari Hotel. This Backroads trip was one of their "casual inns" trips that typically feature hotels that meet most expectations but are not five-star. Tilajari was not fancy but the grounds were nice and the birdwatching along the river there was great. That evening we gathered to celebrate the birthdays of two of our bikers and Ally and Zach prepared a selection of the fruits of Costa Rica before we all sat down to an outdoor dinner. The next morning we gathered at the hotel restaurant for breakfast and noticed that the staff had placed slices of fruit on sugarcane stalks that were attracting some of the most colorful birds we've ever seen. I'd noticed that the birds tended to nibble at the fruit slices higher up on the stalks. 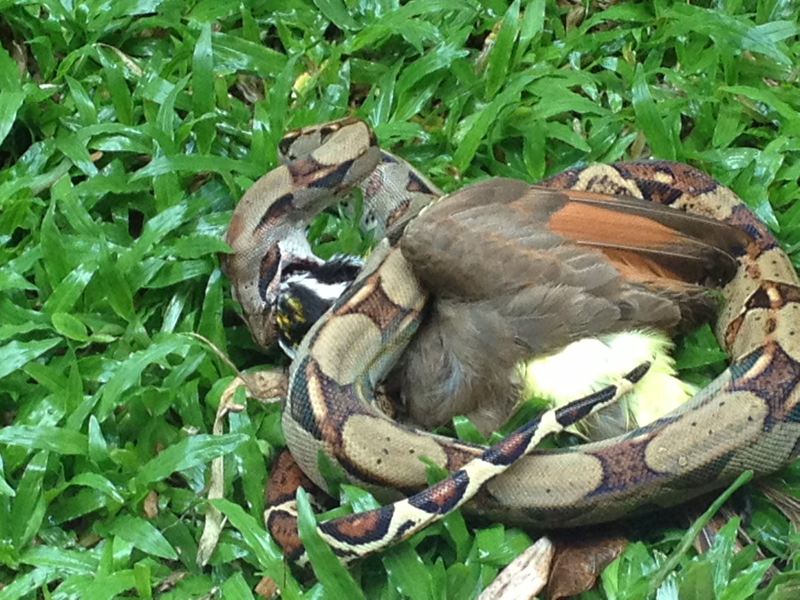 I finished my meal and left but missed the most exciting event of the morning when one of the birds went for a piece of fruit on a lower branch and was seized by a small boa constrictor. For our riding for the day, we elected to be shuttled to Santa Clara to begin our ride. The hills of Costa Rica were definitely getting to us. The riding on this day seemed to be the most scenic of the trip. We passed countless fields and pastures on our way to the town of La Fortuna. The landscape of this part of the country is dominated by the Arenal volcano. Before July 29, 1968, Arenal had been dormant for at least 400 years. The locals had even begun to refer to it as Cerro Arenal (Arenal Mountain). On that fateful day, however, Arenal violently re awoke. The ensuing eruptions killed 87 people and buried three villages. We paused at one lonely road crossing to take a picture of the Arenal volcano in the distance. A Costa Rican field worker was walking up the road in his straw hat with a machete tucked in his belt. He gave us a hearty, "Pura vida!" and we responded in kind. Our lunch spot for the day was the Lava Lounge and it was the best lunch yet: A slice of sweet Costa Rican pineapple, lightly grilled, placed atop a grilled chicken breast and smothered in a spicy sweet sauce. In typical Backroads fashion, our hotel for the last two nights of the trip was the topper. Nyara Hotel, Spa and Gardens in La Fortuna was a wonderful place to stay. Our accommodations were private huts that featured outdoor showers and Jacuzzis, beautiful woodwork and two decks that put us right in the rain forest. While the hilly volcanic landscape provided plenty of biking challenges, the geothermal activity of the area brings one benefit to those with sore biking muscles (and backsides): Natural bubbling hot springs. Eco Terminales hot springs. We enjoyed a dip in the hot springs and a refreshing drink, followed by dinner. Day four began with a quick shuttle to the Lake Arenal Dam and a boat ride across the lake. Our drivers Winnie and Scooby were to meet us at the dock after our ride when we would begin our ride around the lake. Low water conditions made the use of our planned arrival site impossible so the boat driver told us he would drop us at another spot on the shore. We wondered how far we would have to walk to get to the road but there was no need for concern. As our boat neared the shore, along came the vans with Winnie and Scooby happily doing some off-road navigating. 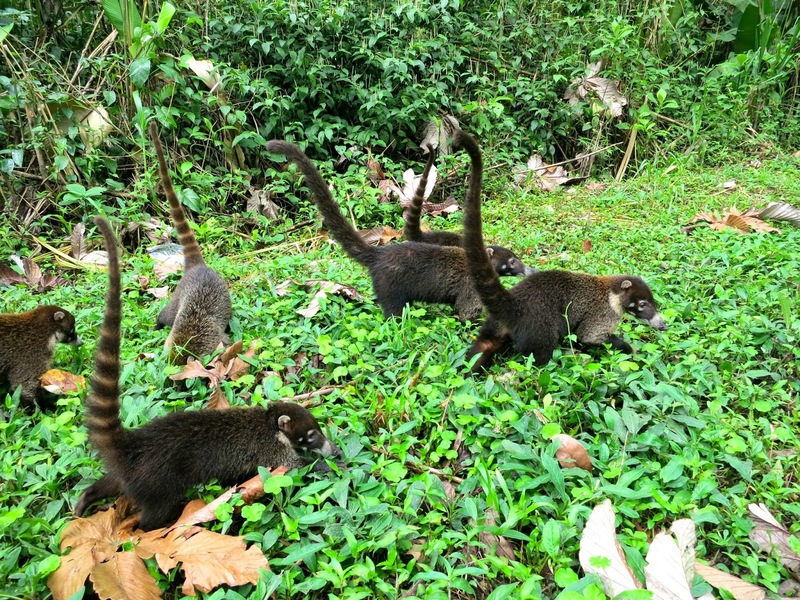 As we drove to the spot where we would begin biking, we spotted toucans and howler monkeys in the trees and a family of coatimundi. The lakeside road supplied lots of scenery and a couple of challenging hills. As I rounded a corner and finished the ascent of one hill, I was relieved to find the van parked by the side of the road. Winnie was refilling water bottles and pointing out a sloth he had located in one of the trees. I was out of breath after climbing the hill as I rode up to him. He asked me in Spanish whether I wanted water. I said that I had plenty, thanks. Did I want fruit? No, thanks, I said. A smile crept onto his face: "¿Tanque de oxígeno?" He knew just how to poke fun at an out-of-shape gringo. Many of our fellow travelers elected to go ziplining that afternoon while a few of us elected to go on a hike through the jungle on a trail that featured hanging bridges through the canopy. We met for cocktails at Nyara's wine bar that evening and then walked to the hotel's restaurant for dinner. After four days of biking together, we felt like a group of old friends. On the final day of the trip our 21.4 mile biking route took us along the scenic roads surrounding the volcano. We stopped at a roadside stand for a refreshing drink from a coconut. Lunch was at Proyecto Asis, an ecological reserve and animal rescue center. We were then driven back to the Marriott in San José where we said our good byes. 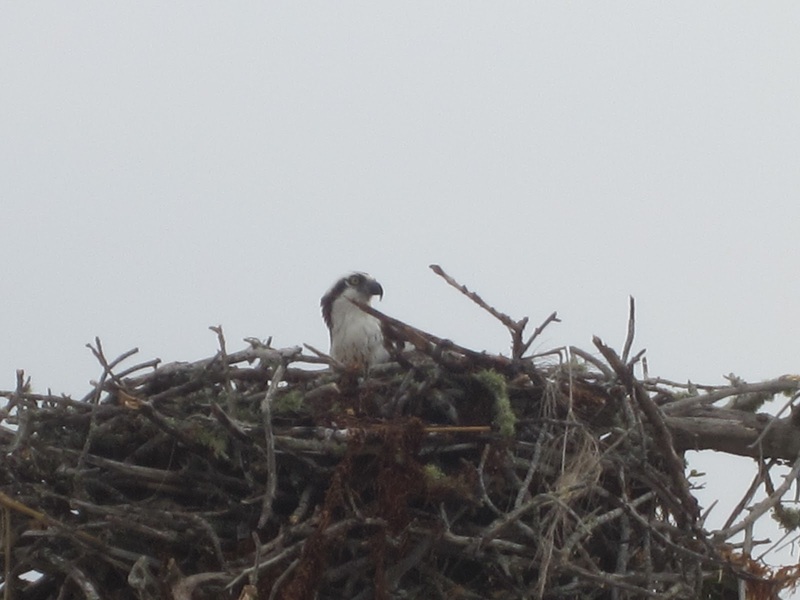 As with every Backroads trip we've taken, the guides were great and our fellow guests made the whole trip a pleasure. We headed back to Xandari for one more night's stay before returning home the next day. Costa Rica is an ecological gem. We saw a lot of this beautiful country but there is much more to see and I hope we can return. Today was the 12th annual Bike The Drive event in downtown Chicago. 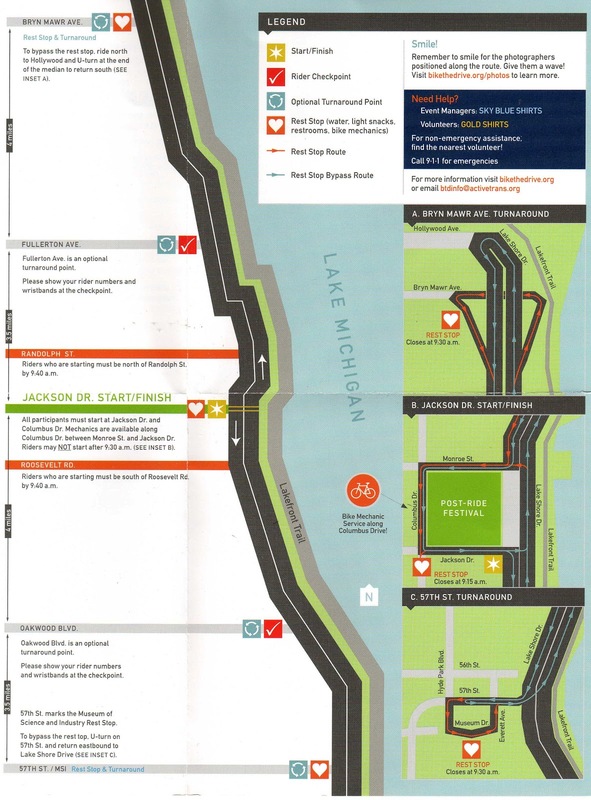 20,000 bikers signed up for this event where the fifteen miles of Lake Shore Drive between Hollywood Avenue in the north and 57th Street in the south is blocked-off for bikes only. Bikers were allowed onto the course beginning at 5:30 a.m. this morning. I parked in the south Grant Park garage, exited the garage on my bike and turned east on Jackson Drive. I reached Lake Shore Drive just a few minutes after the 5:30 a.m. beginning of the event. I certainly was not alone on the road but since I was among the earlier starters, there was plenty of room. Also, the fact that this is not a race and does not feature a mass start, makes for easier riding. After a couple of days of cloudy weather here in Chicagoland, today's weather was mostly clear and sunny but temperatures were cool and a breeze made it feel even cooler than the actual temperatures in the low 50's. This is my third time doing this event. Pam and I did it with friends in 2010 and 2011 but I was on my own this year. The event bring out all sorts of bikers. I saw more than a few tandems and a few riders on classic older bikes. There were also several bike club groups riding together as well as families. As I headed north, the taller buildings of downtown gave way to beautiful residential buildings that face Lake Michigan. The sun rose shortly before 5:30 but I did not feel much heat from its rays. I had on long biking pants as well as a windbreaker jacket and I was glad I did. A few hearty or foolish soles had on shorts and t-shirts. The predicted high temperature for the day was only 66 and it wasn't close to that yet. Some of Chicago's best beaches lay along our route. There were already plenty of beach walkers and joggers out. I noted plenty of race personnel standing along the route keeping an eye on things as well as first aid riders and repair riders ready to assist any bikers. I did not see any accidents but I did see them loading one person who had evidently had some trouble into a car. I previous years I had started the event later in the morning along with a crowd of riders. Starting earlier got me a better parking spot and a less crowded roadway but less favorable weather conditions. I skipped the rest stop at Bryn Mawr Avenue and went on to Hollywood Avenue after Lake Shore Drive bends west. I did a u-turn at Hollywood and started back south. With eight miles or so under my wheels, I was thoroughly warmed up and felt my speed pick up as I made my way south back towards downtown. At Monroe Street I got off of Lake Shore and headed west to Columbus Drive where I turned south and then got off of Columbus onto Jackson before turning back onto Lake Shore to continue south. We passed Museum Campus and then Soldier Field before passing beneath part of McCormick Place, the giant convention and exhibition hall. This ride was made possible by the sponsors and by Active Transportation Alliance but, in a very important way, it was made possible by Daniel H. Burnham (1846 - 1912). 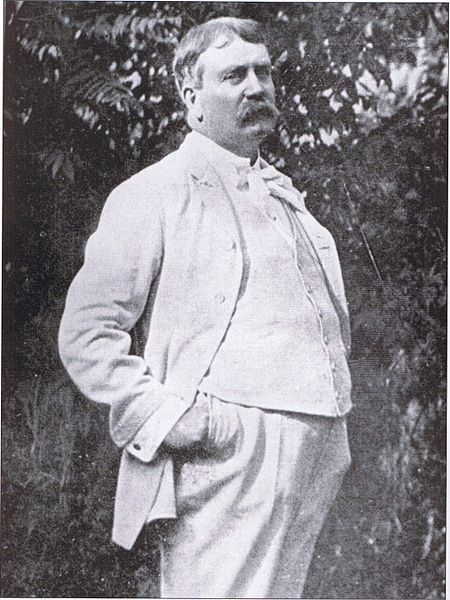 His 1909 Plan of Chicago called for a 20-mile long public park along the city's lakefront. He was a visionary but certainly not alone. A quote in a publication by the Canal Commission in 1836 is often incorrectly attributed to Burnham. It stated that the lakefront should be "... public ground - common to remain forever open, clear and free of any buildings, or other obstruction whatever." McCormick Place is the only building that violates that edict but many argue that Lake Shore Drive itself violates it. Some would like to see the Drive itself removed entirely to make the lakefront a truly grand park space. I know I was moving along at a good pace but the trip seemed really quick this year. Before too long I was in the neighborhood called Hyde Park. My mother's family started out in Hyde Park in the 1920's and 1930's so parts of it are familiar to me. The feature of the area that is probably most familiar to Chicagoans and visitors alike is the Museum of Science and Industry. It's the largest science museum in the Western Hemisphere and is housed in the former Palace of Fine Arts building from the World's Columbian Exposition that was held in 1893. It is one of the few buildings from the Exposition that was built as a permanent structure. Chicago is known as "The Windy City" and one of the most commonly accepted explanations for that term is that it was used often by a New York City newspaper editor to describe the bragging of Chicago politicians and other boosters as we competed to be designated as the site of the Exposition. I had stopped along the way to take a few photos and drink some water so I did not feel like I needed the rest stop at the turn around site at the Museum so I was back on my way north for the final leg of my journey in no time at all. A few folks come out to this event on bikes that are ill-equipped to handle a 30 mile ride but it is more common to see riders who are themselves not ready for the ride. I did not see anyone riding in the van labeled "sag vehicle" but more than a few folks looked like they were not there to do the whole ride. There were designated places to for people to enter and exit the route. Some of the best views of the city are looking north from Lake Shore drive as you approach downtown and today was a great day to enjoy the views. I saw several groups of people stopped by the roadside to pose for a photo with the city rising in the background. I finished my ride before 8:00 and exited the Drive on Monroe to circle Grant Park again before heading to the parking garage. More than a few folks were entering the riding area via Jackson Drive to begin their rides. This is where you see the accidents happen when people are going in several directions or pulling over to rest or to try to meet-up with someone. I saw one close call. I headed back down into Grant Park Garage to retrieve my car and head home after a great ride. 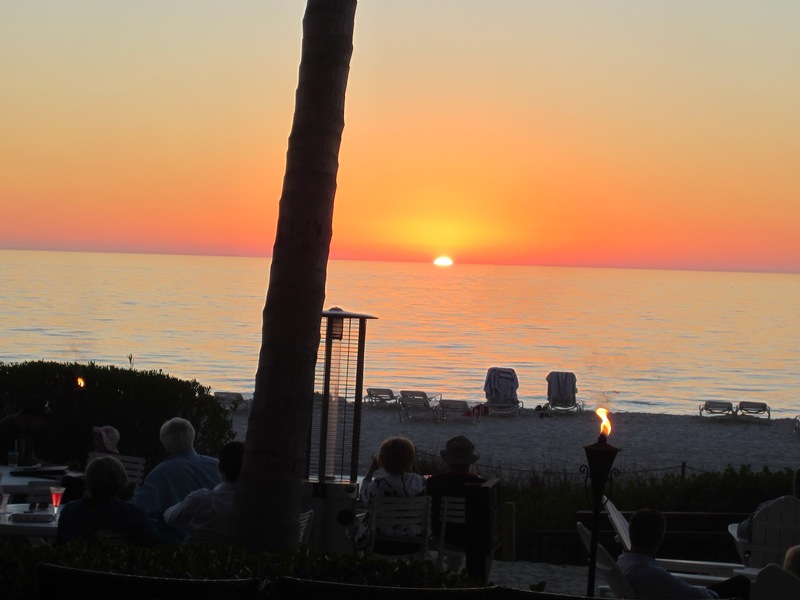 The southwest coast of Florida from Fort Myers to Marco Island has long been a favorite destination of ours. A warm winter climate, good restaurants and spectacular white sand beaches bordering the Gulf of Mexico make it a wonderful place to go, especially when the icy winds of a Chicago winter howl. So far this year, however, we'd enjoyed another mild winter in Chicago with one of the longest stretches of a lack of measurable snowfall in recorded history - right up until I dropped Pam at the airport for her trip to Fort Myers on Sunday, January 20th. The day before we had a high of 47 degrees. On Sunday the high was 28 and on the following day, with Pam safely down in the Florida sunshine, we had a high of 15 in Chicago with snow forecast for later in the week. I was stuck at home while Pam was applying copious amounts of sunscreen and enjoying a week of perfect weather while she and her pal Jan (from Toronto) were having a great time in the Sunshine State. I headed to the airport a week after Pam left for my flight down to Fort Myers (set your airfare search destination to airport code RSW). The security lines were already getting long but I stepped up to the TSA's Pre-Check line and breezed through security. Travel Tip:ð I can't say enough about how easy this program has made this aspect of travel for me and I urge you to check it out. That said, Pam reported seeing long security lines in Fort Myers for those boarding flights and there is no Pre-Check program in Fort Myers yet. Pam's sister and brother-in-law have owned vacation property in this area for over 20 years and were kind enough to lend us their current place in Estero for our time down there. I arrived in Fort Myers in time to enjoy a couple of hours with Jan before she headed back up to Toronto. The weather was superb with sunny skies and temperatures near 80. By the time we got home a couple of weeks after my arrival, we agreed that our time down there this year featured the best weather of any of our trips. In three weeks there this year, Pam experienced one morning of light rain showers and temperatures that never felt cold. The Philharmonic Center for the Arts ("the Phil") in Naples is much more than just a concert hall. We keep an eye on their website to see what is on their calendar when we plan to be down there. This year we stepped over to the Daniels Pavilion, a smaller theater across a courtyard from their main venue to attend a performance by Lonesome River Band. It was a great evening of bluegrass music by this award winning group. The Philharmonic Orchestra was performing in the main auditorium so we knew things would be crowded at the Phil. Travel Tip:ð We made dinner reservations at Brio in a neighboring mall so it was easy for us to get a primo parking spot at the Phil, stroll over to Brio for dinner and know that when we came out of the concert, it would be easy to hop in our car and head back to Estero. 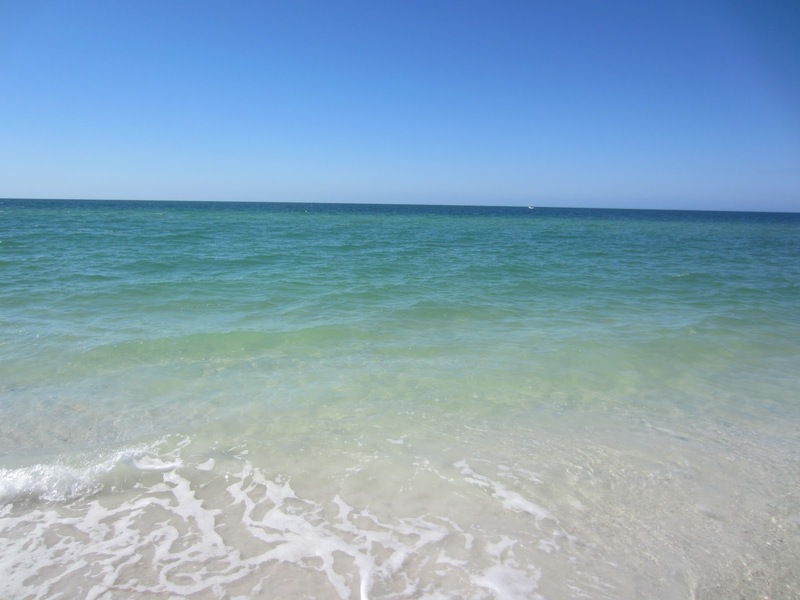 The beautiful Gulf coastline offers miles and miles of white sand beaches and lots to see and do. It is common to find your gaze drawn to the sand as you look for shells that are frequently found on the beach. 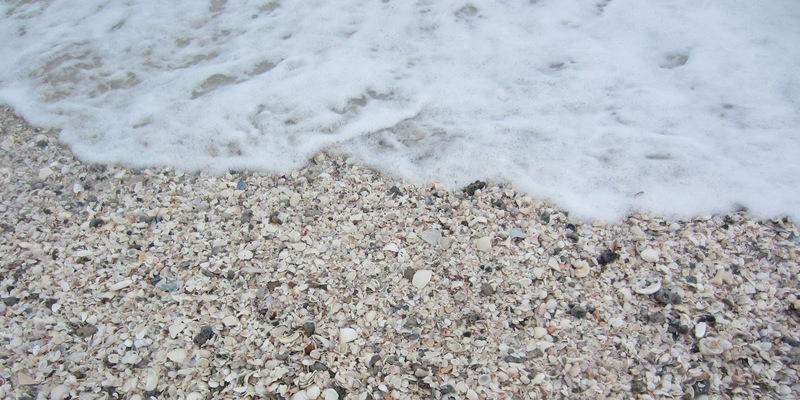 As a matter of fact, don't forget to pack the Tivas, Keens or other firm-soled sandals since much of the beach is covered in shells. 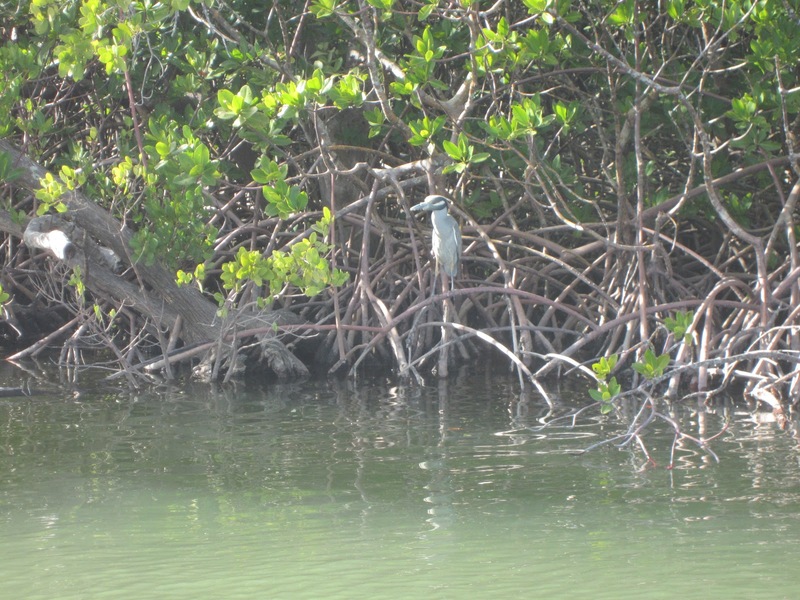 Both resident and migratory birds can be found in great numbers along these shores. During "high season" the population of this area swells greatly. Driving and locating parking can tax your patience. Pam purchased a beach pass for the rental car which made it a lot easier and somewhat less expensive to park as we explored the beach walking opportunities. One of our favorite things to do is to park at a public garage near the Ritz-Carlton and walk a couple of miles in each direction up and down the beach. 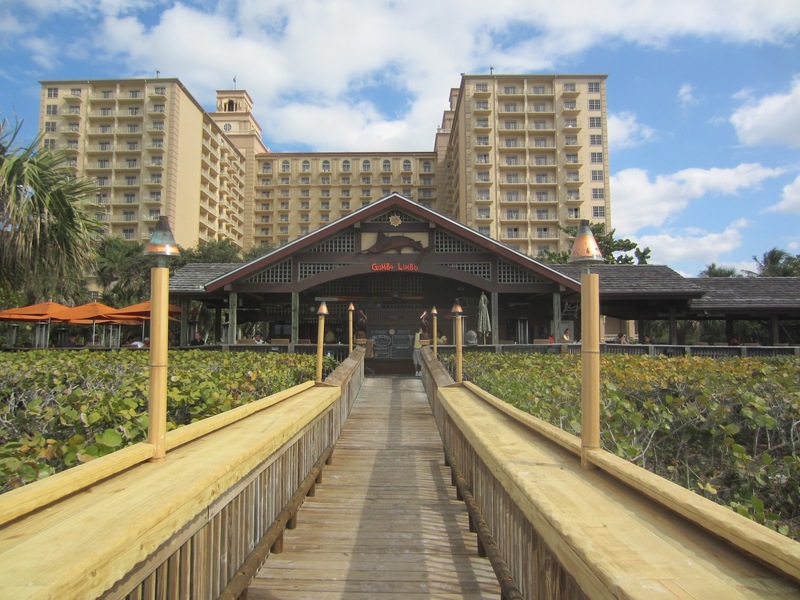 We cap off the experience with lunch at the wonderful Gumbo Limbo restaurant at the beach in the Ritz-Carlton Naples. It's a great spot for a sunset cocktail as well as lunch. We visited with former work colleagues who have relocated to Osprey as well as Cape Coral. Of course, all of this driving up and down the coast meant that a rental car was necessary. In trying to keep the expense from getting out of hand we decided to rent from an office located off of the airport property since the rates they quoted were substantially below those offered for rental from companies located at the airport. Travel Tip:ð Plan your travel carefully and be prepared with contingencies since many offices away from airports do not have the same hours as those offices at airports. Enterprise had an office not too far from Pam's sister's place. As their commercials say, they will pick you up and take you to their rental office so, after taking a taxi the short distance from the airport to the condo and spending the night, Pam had Enterprise pick her up at the condo complex entrance (they won't pick you up at the airport) and take her to their offices where she picked up the car. Travel Tip:ð If you read the fine print in benefit brochures offered by the credit card companies, you will note that while many cards offer automatic insurance coverage if you use the card to pay for the full rental, many cards limit that coverage to two weeks or less. Apparently Pam's American Express covered her for the entire period of her three week rental. 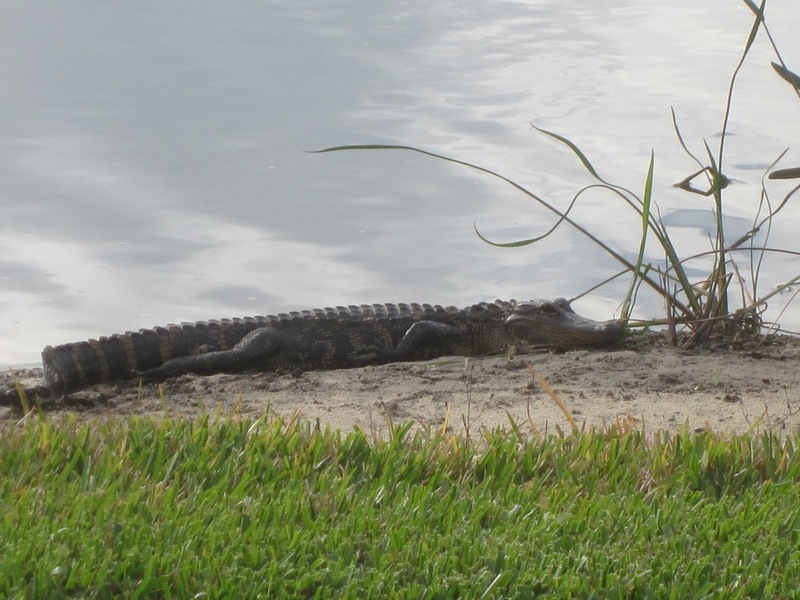 The Cocohatchee River is one of the major waterways in the area and offers many recreational opportunities. 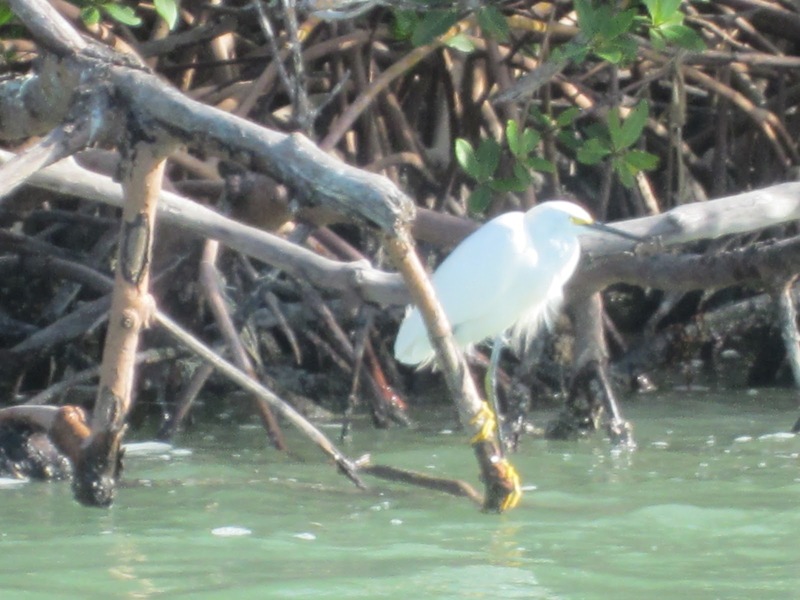 We elected to take a brief cruise on the river with Naples Marina and Excursions (12345 Tamiami Trail North, Naples). Our captain Denis came to the Naples area many years ago from his native Belgium. There was just one other couple on the boat with us so it felt like a private tour. For a little over two hours we cruised down the Cocohatchee to its mouth on the Gulf and saw lots of wildlife, including a few dolphin and many, many birds. Red tide is an algae that can be present at high concentrations in these waters from time to time as it was during a part of our time there. 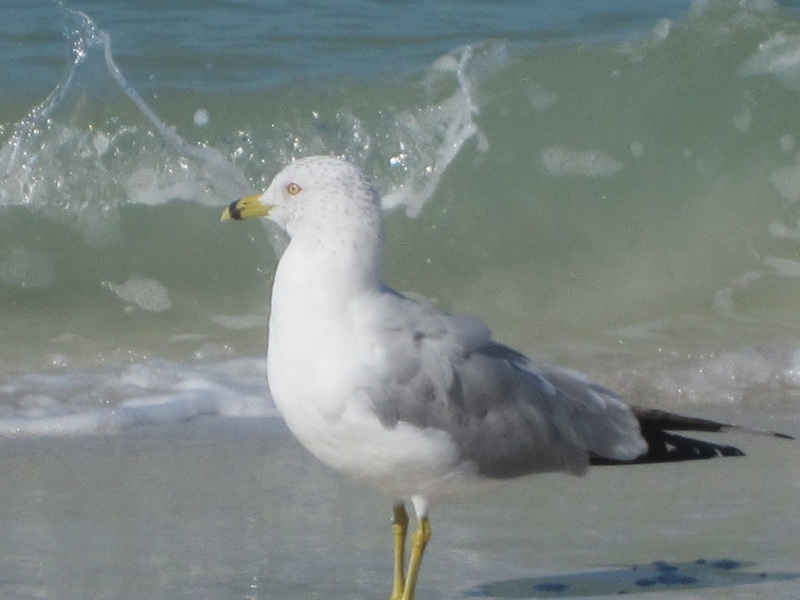 In the event of an onshore breeze and especially when breaking waves cause the toxins released by the algae to become airborne, people can experience symptoms. Humans can experience breathing discomfort when exposed to the toxins and those with asthma, emphysema and other breathing disorders should watch the newspapers carefully for news of an algae bloom. Sea creatures can suffer greatly from red tide which can kill fish. We experienced one day of exposure to red tide which caused a slight cough but no other reactions. 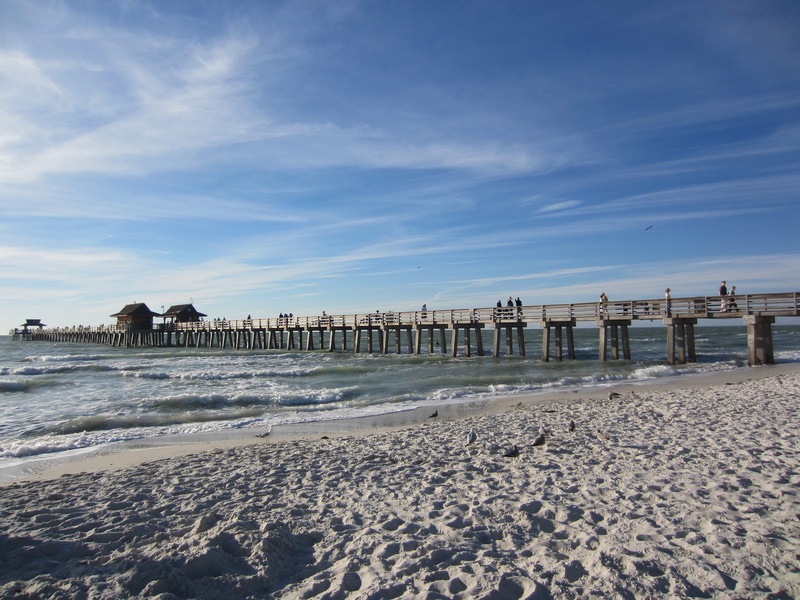 Collier County's Clam Pass Park is one of the most pleasant beach parks anywhere. We drove there one day and walked down the .6 mile long boardwalk that meanders from the parking lot to the beach. Those who might prefer not to walk can take advantage of the free tram service that drives you down the same boardwalk in a golf cart. At the end of the boardwalk is a beach side grill and a concession stand that rents beach umbrellas, chairs and other items for those who do not bring their own. "The Phil" is more than a concert hall. The complex includes the Naples Museum of Art. Their current primary exhibition (open through April 13, 2013), "Painting Women", explores the role of women in art and features works by Mary Cassatt, Georgia O’Keeffe, Lilla Cabot Perry, Helen Torr, Edgar Degas, Gretchen Woodman Rogers and others. This is a very good museum and visitors to the area would be wise to check their website to see what is showing whenever they are in town. 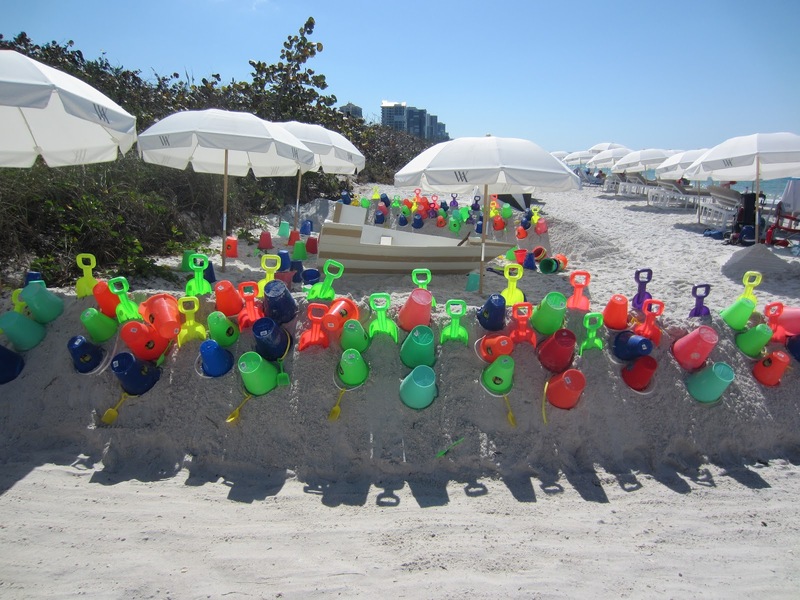 The last Wednesday of each month features free admission during what they call "art after hours" from 6:00 to 9:00 p.m.
Barefoot Beach Preserve County Park is another favorite of ours. 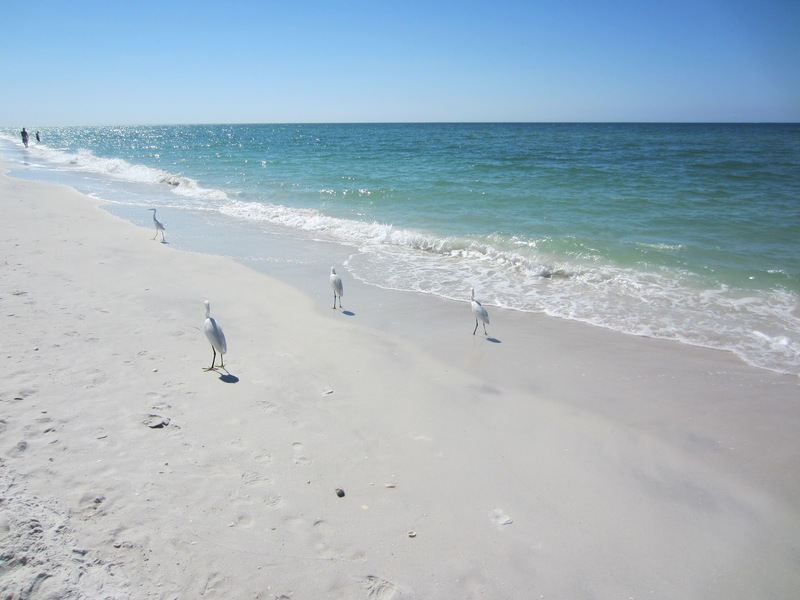 It is located on one of the last undeveloped barrier islands on the southwest coast of Florida. 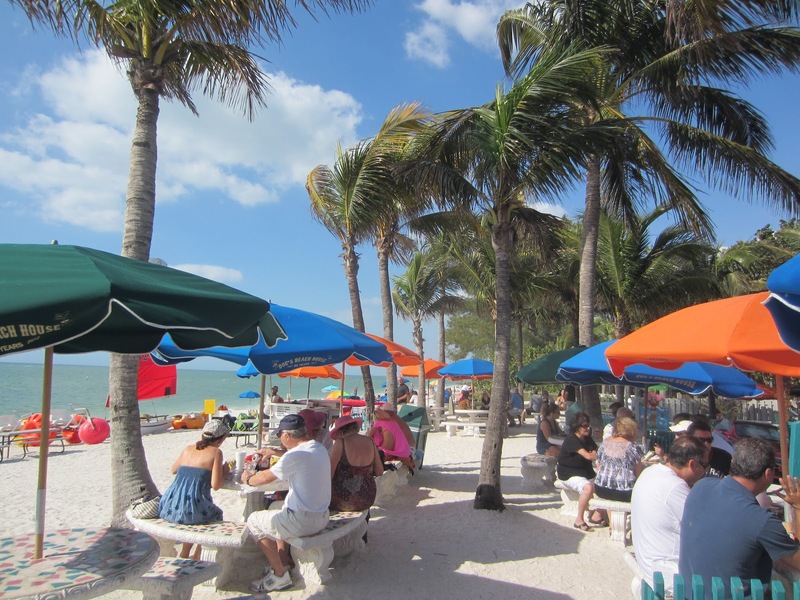 We enjoy a long walk along the beach along with a stop at Doc's Beach House for a bite or a drink. 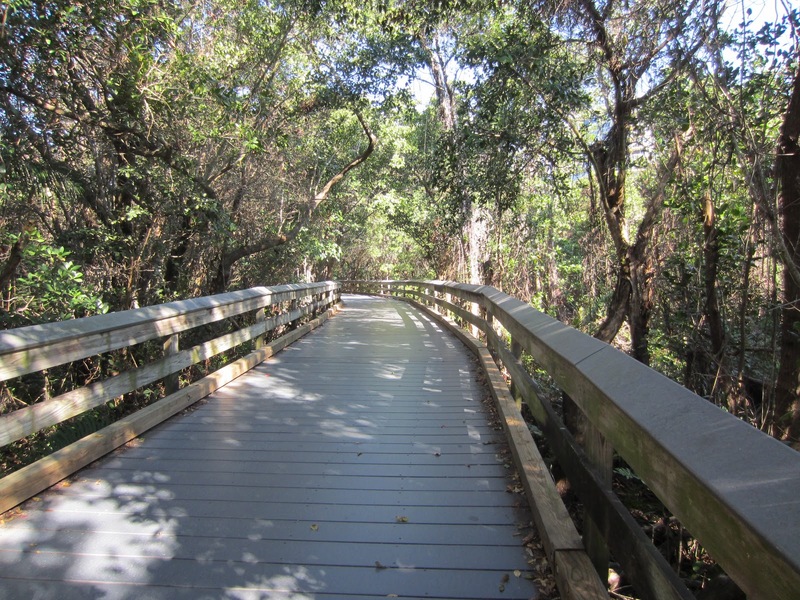 In addition to superb beach walking, the park is home to a population of gopher tortoises. 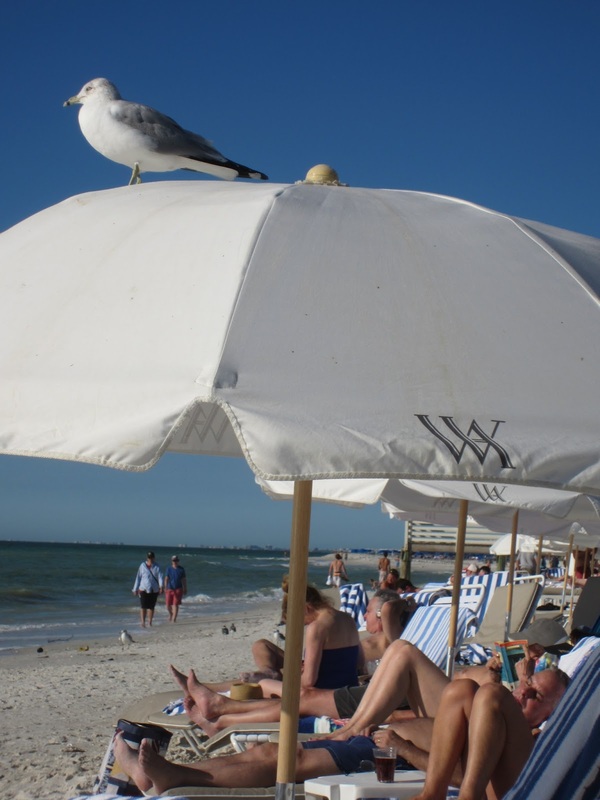 Our visit was timed to coincide with our 20th wedding anniversary so as a treat to ourselves, we redeemed a few hotel frequent guest points to enjoy a few nights at the Waldorf Astoria in Naples. Visitors to the area in the past will recognize this as the old Registry Resort. A number of years ago it was transformed to the Naples Grande but is now a Waldorf under the Hilton set of brands. The location right next to Clam Pass is wonderful. On our actual anniversary we had dinner at Baleen located in the LaPlaya Beach and Golf Resort. We dined outdoors on the porch and watched the sun set over the Gulf. It was a perfect way to cap our visit to southwest Florida and to toast our 20 happy years together. Here's to many, many more! P.S. 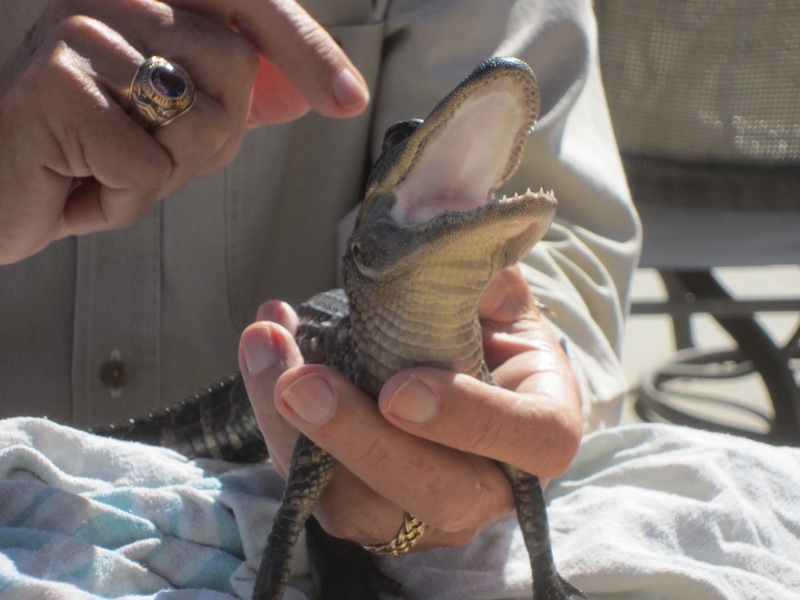 : Fore more than 20 years we have enjoyed all that the wonderful Shell Coast of Florida has to offer and we expect to return here again and again. So much so, in fact, that we spent a good deal of our time there this year tooling around the area with a realtor. We located a property we like and are under contract to make it our own so count on more than a few blog posts from this beautiful spot in the future. An early escapee from the corporate work-a-day world unleashed to explore new paths.